From June 26 to 28, Skyline Communications is presenting their DataMiner Service and Resource Management (SRM) suite at BroadcastAsia and CommunicAsia in Singapore. This powerful software suite combines numerous sophisticated DataMiner capabilities to take care of automation, orchestration and service performance monitoring. The product also provides accelerated service design, delivery and assurance with simplified, consistent and predictable operation during the entire service life cycle. 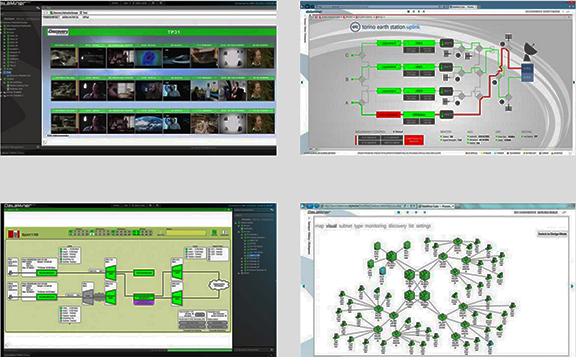 For any broadcaster, network operator or service provider, automation and orchestration bring indispensable benefits: operational cost savings by automating processes and executing them in a reliable manner, capex savings as a result of smart utilization of the available infrastructure and inventory, and the flexibility to quickly adapt to market demands. New service offerings can be created on the fly and with great performance, first-rate from the first time. However, while operators understand the key strategic value of powerful and flexible end-to-end orchestration, they are often struggling to make operational transformations a reality, mainly because of proprietary and vendor-specific tools that create operational silos. The DataMiner SRM solution allows operators to create a consolidated service catalog with an intuitive built-in graphical editor, configure service levels and profiles, tailor the behavior of life cycle automation needs, and schedule the activation of a service to their exact requirements and as dictated by the business. DataMiner continuously takes care of resource and capacity verification and forecasting throughout the process. DataMiner SRM also fully adheres to developer practices — new services can be modeled, created and tested on the fly while others are running and being monitored by DataMiner in production. To meet SLA levels in today’s all-IP and virtualized infrastructures, end-to-end resource and capacity management have become table stakes in all aspects of operations. For this reason, any service state change, whether deployed in real time or scheduled ahead of time, is fully checked against available and capable resources, such as network capacity, data center capacity, bandwidth, CPU cores and cycles, memory, and much more. With DataMiner SRM, operators can rest assured that no mistakes can be introduced in the planning.